My favorite subject today, steam trains. :-) This is one of the trains on the Cumbres & Toltec Railroad heading out of Antonito, Colorado on the way to Chama, New Mexico. The scenery starts out quite flat and soon becomes quite mountainous. 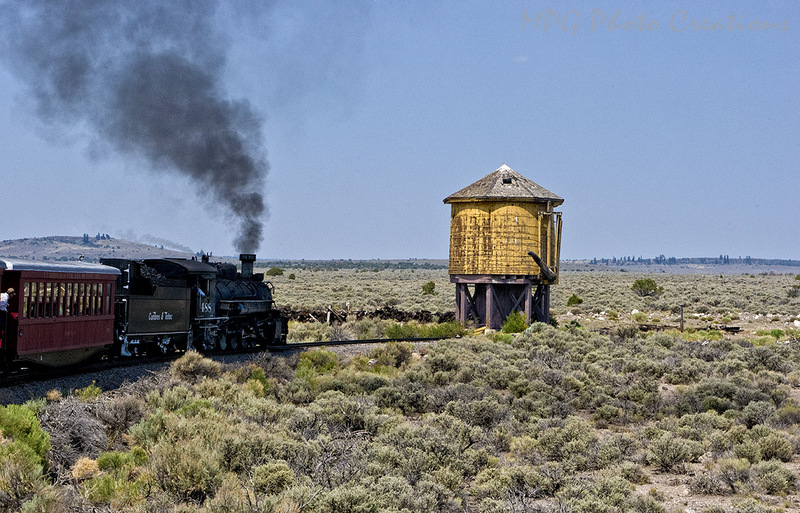 The water tank is one of the old Denver & Rio Grande tanks that are still in use on the line.